With his over three years of WooFDriving experience he has become a great asset to the support team. With his keen nighttime vision, he’s able to see different potential areas that might’ve been overlooked. Many times he will go survey areas to make sure that they are accessible, safe and interesting for us ghost hunters and werewoofs to explore. He is also a great fan and benefit for the WooFPak. As his extensive knowledge of dogs makes them feel extremely comfortable and safe around him. He is able to keep them entertained and calm while the WooFDriver is ghost hunting with the other team members out of the field. Rhett is a true outdoorsman and is known as our great adventurer. If there is ever an area that we can’t easily access he is always the one to step up and take on that challenge. Regardless if this area involves any rock-climbing or handling challenging terrain. He is great at dealing with adversity in the event something goes wrong with the equipment. 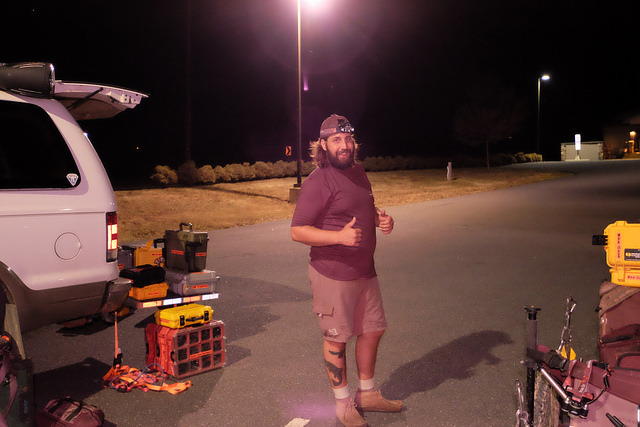 His strength and endurance ensures our safety as well getting any inoperable equipment back to our base camp.